Lily says: My favourite pieces from this group of floral finds are the Jonathan Saunders floral print t-shirt, the Equipment silk shirt (love the styling of it as well) and the Monsoon Fusion 1950s style kalidescope dress. LOVE! 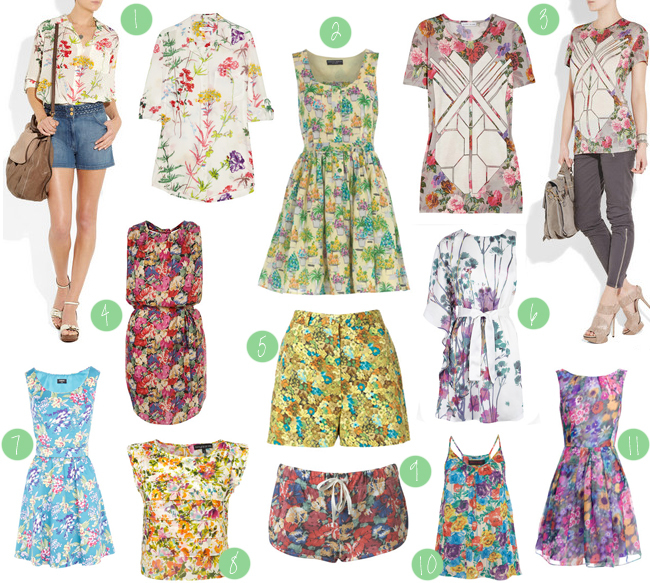 Which items are your favourite florals?